This image, submitted by Curtis Welsh, captures the attraction of steam and smoke bringing traffic to a standstill in the middle of Galashiels as the train heads off towards Tweedbank. No doubt many readers have noticed the mushroom-like proliferation of yellow signs sprouting on lamp-posts across the region, warning of dire consequences if Borderers are selfish enough to park outside their own front doors on the day that the Tour of Britain bike ride passes through (Sunday, September 3). If folk want to watch sweaty cyclists sporting plastic bananas on their heads whizzing past, I guess that’s up to them. But it’s ironic that our allegedly cash-starved council finds the money for a truly ludicrous level of over-provision of signs for an inconsequential sporting event, but is incapable of basic road maintenance. Roads full of potholes and broken edges abound, and road markings at potentially dangerous junctions are usually all but illegible. There is an increasing trickle of successful, but not well publicised, prosecutions across Scotland in cases where motorists have taken action against the highway authority for the consequences of accidents caused by failure to maintain a safe road network. No doubt, with darker nights and winter weather upon us shortly, there will be another crop of accidents because of our broken and unmarked roads, and no doubt local authority legal departments will spend thousands contesting resulting legal actions. Just as with planning departments wasting money arguing about the precise design of shop signage and other irrelevancies, and with the squillions spent replacing schools that 50 years ago would have been deemed perfectly adequate, the spending priorities of the claimed paupers at Newtown (council HQ) get ever more bizarre. Unaffordability is a myth, defined to suit the political exigencies of the time and the relative power of different professional and interest groups claiming council money and time. That is why education and planning always claw their way to the top of the greasy pole. No point in worrying about social care – old folk in care and vulnerable groups dinnae vote. A great achievement was restoring the railway line as far as Tweedbank – but taking it further? Forget it. What a crime it was to have the Waverley route taken away in the first place. I attended a public meeting in Hawick Town Hall when men-in-suits from British Rail told us of plans to close, offering pledges to compensate by upgrading/improving the A7. That didn’t happen. But what did happen was ....nothing in protest when all the Border towns should have shelved their petty rivalry and mounted a unified robust objection. Promises were made to preserve the permanent way, trumpeted by newly-formed Border Union Railway Co., spearheaded by David Steel, but when I observed the severed line crossed by the M74, I knew nowt could save it. In due course viaducts and bridges, in good condition, were blown up by jolly Royal Engineers, cuttings filled in and roads realigned onto the route, all contributing to what we have today – the impossibility of providing a rail system serving hearts of Borders towns. I note from last week’s Southern Reporter that there is more discussion about a possible new supermarket for Jedburgh, this time on the current grammar school site. However, I do wonder whether this is really a good idea for this location and, in particular, for the town as a whole. Would it be supportive of the established town centre, or would it just spread trade even more thinly among those already there? I recall that not so long ago a number of politicians were seeking public money to bolster the precarious economy of Jedburgh town centre. One only has to listen to retailers in Galashiels to hear about the negative impact of excessive development of peripheral supermarkets. Why risk repeating this in Jedburgh? And does the catchment of the town really extend as far as St Boswells and Denholm? I suspect that residents of the former may be drawn to the large new stores at Galashiels or Kelso, which are likely always to be bigger and better than anything Jedburgh could sustain. Those in Denholm would surely travel to Hawick where there is already a plethora of large modern stores. Why not consider housing for the grammar school site? 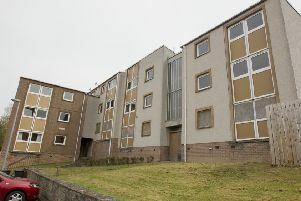 There is a perceived shortfall of housing in the Borders and this option would at least have the benefit of bringing more people to live in the town which, in turn, would help shore up what is widely acknowledged to be a struggling town centre. After a week of listening to talk about the regeneration work in Market Place, Selkirk – the majority negative – I feel the following needs to be said. If the money wasn’t being spent on Selkirk, it would have been spent elsewhere on another town centre. This would result in folk moaning that Selkirk was missing out and being forgotten. And why is it that the so-called local papers are always up for printing bad news stories? I suppose it’s much easier to find bad news rather than look for good stuff. There have been three businesses premises taken over by new tenants this year – the Court House coffee shop, Sparkies and Needlepoint. Flower Expressions was among the winners at the Border Retail Business Awards earlier this month. There was also good news with the announcement of new housing to be built on the old Heather Mills site. Maybe a more positive headline would have been “Selkirk all set to thrive” with new town centre and housing investment. Market Place is still open for business and, as customers have pointed out, it is much easier to park. So, to the people of Selkirk with all the negative speak going around, you are needed more than ever to shop and support your local businesses. To local businesses, chin up, we are there with you, with not one, but two businesses in Market Place. I also have an invested interest in ensuring Selkirk survives and thrives. And, finally, to the local newspapers – please consider some positive news to publish for a change. You never know, you might increase your business – i.e. more readers and more business advertising. This was said without any irony by Philip Hammond, Conservative MP, when Secretary of State for Foreign and Commonwealth Affairs in February 2016. Faslane, where Britain’s nuclear submarines are based, and Coulport, where the weapons are stored, are only about 30 miles from Scotland’s most populated city and conurbation – Glasgow. If there was an attack or major accident, millions of people would be killed in the subsequent firestorm. Anyone entertaining the selfish notion that they would be quite safe here in the Borders should disabuse themselves of that illusion. Some will recall how great swathes of Britain were affected by the fallout from the Chernobyl nuclear explosion – and it is some 1,300 miles from us. Another worry is that nuclear convoys drive through the Borders on the A1 and A68. If a foreign power launches a nuclear attack on Scotland, we’ll all be annihilated. If Britain effects a first-strike nuclear attack, we’ll all be annihilated. So can anyone explain to me the benefit to us of having this so-called “nuclear deterrent”? They don’t deter hijackers, suicide bombers or vehicle rammers. So just what is the point of these WMDs (weapons of mass destruction)? But it’s not just the obscenity of the weapons, it’s the ridiculous amount of money which is going to be wasted on the replacements. Billions which could solve so many social problems – such as housing, the NHS, education, poverty, the emergency services and so on. Following publication of the latest official GERS analysis of Scotland’s public expenditure and revenue, Nicola Sturgeon continues to argue, as she did in 2014, that the imbalance between what Scotland spends and earns can be put right by independence, but avoids explaining how. Meanwhile, deficits are all somehow the UK’s fault. She ducks responsibility for the previous overly-optimistic projections of where Scotland would be if it had become independent, saying many forecasters had not predicted the sharp fall in oil prices, conveniently ignoring that back then industry experts like Sir Ian Wood were warning that projections of the scale of oil reserves and revenues were being overstated. Equally, she hopes we forget that SNP insiders like Alex Salmond’s ex-adviser, Alex Bell, have since confirmed what we all suspected, namely that the figures were knowingly pushed to the outer limits of credibility to simply make the numbers appear to add up. But all of that is history. The £13.3bn deficit for last year points to the scale of challenge facing Scotland if it chooses to break away from the rest of the UK and put itself at the mercy of the European Union in meeting its entry requirements. First Minister Sturgeon admits that for independence to work we need to get the deficit down from 8.3% of GDP to the 3% that most accept as being sustainable. Yet she gives not a word of credible explanation as to how such a turnaround could be achieved. Finance Secretary Derek Mackay says the SNP’s growth commission will come up with something, but so far its findings have been judged not ready for public consumption. Andrew Wilson, who leads the commission, apparently would like to be honest about the levels of austerity required to get the Scottish economy into balance, whereas the SNP leadership prefer to hold fire. Their hope is that they can put such a negative spin on Brexit that people will be less shocked when the full reality of independence at any cost is eventually revealed. A problem with having letters published is that serious writers face replies from others who distort what they said in the first place. David Laing’s letter (Southern, August 24) against me about electric cars is a good example of this perfidious practice. What are the facts? If all cars were to be all-electric, as Environment Secretary Michael Gove has decreed, we will need 50% more electricity than we now consume at peak demand. The National Grid currently has a narrow margin between supply and demand. So how is this enormous demand for electricity going to be met and at what cost? We have closed down coal-fired power stations and rely on gas-fired ones for half our electricity. But gas is a fossil fuel which the green zealots also want to scrap. Furthermore, the Climate Change Act states that electricity is to replace gas for central heating and cooking – placing an additional burden on our generating capacity. Wind farms are useless when the wind is too light or too strong. Solar is compromised during the long winter months. The National Grid warns that if you have an electric car plugged in at home to a fast charger you must not boil a kettle as it will trip your supply. Using a normal slow charge will take up to 19 hours. No wonder Mr Gove’s plans have a loophole, possibly allowing hybrid cars to continue to be manufactured after 2040 (hybrids with diesel and petrol engines, as well as an electric motor). But what if you don’t have a driveway and want to plug in? Do we have 10 or 20 cables running across the pavement into house-charging points? If all cars were to be all-electric we would need 400,000 public charging points at a cost of £30bn. Already electric and hybrid cars attract a government subsidy of up to £5,000 per vehicle. Is the magic money tree to be shaken yet again? Mr Laing confuses small 12-volt starter batteries in conventional cars with the large 300 or 400-volt ones in all-electric vehicles driving the electric motor. These weigh upward of 250kg. Is it not sensible that research into their health effects should be carried out through bioelectromagnetics, which is the scientific study of electromagnetic fields on cells, tissues and biological systems? Nissan USA has issued a 40-page First Responders’ Guide to the Nissan Leaf for action following a road traffic collision. It is prefaced by an explanation of the danger symbol throughout the guide. First responders are required to wear special boots, gloves and facial protection as they tackle the high-voltage (360 volts) shutdown, after which 10 minutes have to elapse before the capacitor can be considered safe. This isn’t scaremongering, this is fact. Having spent the last two-and-a-half years investigating Scottish Borders Council’s (SBC) shambolic and expensive waste treatment contract with New Earth Solutions (NES), I now realise why those in charge at Newtown St Boswells campaigned so determinedly to block access to potentially damaging and embarrassing correspondence. The loss of £2.4m (at least) of taxpayers’ money should, in my view, warrant an automatic public explanation of where the cash has gone. Instead, I had to make seven separate applications to the Scottish Information Commissioner to overcome SBC’s refusal to give me the documents I had requested. A change in the system is urgently required. A final batch of 80 letters, emails and other paperwork from 2013 and 2014 was released on August 10, and, hopefully, the story of the failed contract and the way it was handled by client and contractor is now relatively complete. The material shows the project was in dire trouble throughout. I must thank your newspaper for devoting space to my efforts as the saga unfolded. But I realise you do not have room to publish the reams of damning evidence in full. And how spending watchdog Audit Scotland managed to exonerate SBC for its failings throughout the four-year contract remains a mystery to me. z Apart from rubber-stamping the original contract with NES in 2011 and nodding through a disastrous amendment to the deal in October 2012, there is no evidence of control or even involvement by elected councillors who were responsible for planned expenditure of £23m at Easter Langlee. What was their actual role? The absence of written records suggests they left matters entirely in the hands of paid officials and extremely costly consultants. z Had the contract not been varied the Borders should have had a conventional treatment plant capable of diverting 80% of waste from landfill up and running by 2013. Our region ended up with nothing. z Councillors agreed in private in 2012 to include Advanced Thermal Treatment – a form of gas-engine incineration – in the project to convert refuse into electricity. Unfortunately the so-called NEAT technology had never been proven commercially at any location, and it never worked. z NES told SBC at different stages of their relationship that funding for Easter Langlee would come from the firm’s offshore partners, then from one of eight named banks, and latterly from New York. Despite the string of promises and excuses, money for the plant was never in place. z In late 2013 the NEAT research and development trials were going so badly that New Earth warned of a further two-year delay, taking completion to (hopefully) July 2017. Why did councillors not step in at that stage and order the contract to be abandoned forthwith instead of allowing the farce to continue for another 15 months at great public cost? z At this point New Earth directors suggested abandoning the gas option and replacing it with a brand of steam technology. But to be viable the re-designed plant would require a 70,000-tonne capacity rather than the 40,000-tonne plant needed to deal with Borders waste. The answer would be to import garbage from other parts of the country. z In a desperate bid to keep the project alive, NES proposed in 2014 that until the Galashiels centre was completed, all of the rubbish from the Borders should be transported out of the region in fleets of lorries for treatment somewhere in north-east England. Ironically, that is the only environmentally-unfriendly solution left to the council in 2017 as a direct result of catastrophic mismanagement of the contract. z A large delegation of councillors and officials returned from a ‘fact-finding mission’ to south-west England in October 2014 and confirmed their waste treatment solution was on track and would be an asset to the Borders. But behind the scenes the project was on the verge of collapse, and four months later it had to be abandoned. One can’t help but suspect political motivation behind moves to hit independent schools financially. The SNP’s central education target, unquestioned by all other Holyrood parties, is to “close the attainment gap”. This would entail pupils from the wealthiest families performing at an identical level to those from the least well off backgrounds. On this view, costly independent schools that provide excellent education clearly contribute to the “attainment gap”, and are, therefore, part of the problem. The whole “attainment gap” philosophy is founded on the false assumption that all children are equally capable of academic progress, or that academic ability is evenly distributed across social classes, and that divergences of outcome must therefore be caused by structural injustices in society. We should provide all pupils with opportunity to excel, focusing additional attention on those facing particular difficulties. The goal should be raising attainment for all, not “closing the attainment gap”. We wish to thank all who sponsored our participation in the Edinburgh Fun Run last Sunday. We completed the 5k course and raised £681 (with other pledges yet to come) towards funding research into motor neurone disease (MND).